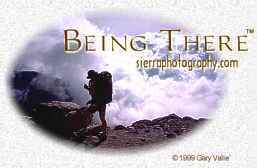 Images of the Sierra and the West · Climbing, Kayaking & Running Adventures "Photography & Adventure for Those of Us Who Would Rather Be There, Than Here!" Copyright ©1995-2016 Gary Valle'. All Rights Reserved. This site uses image technologies developed by Digimarc.